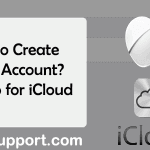 You are here: Home / iCloud / How to Reset Apple ID Password? Forgot Apple ID password? As there are many online accounts and you’ve to maintain separate passwords for all account, it’s probably you forgot password sometimes. If you use iPhone/iPad, then it’s not necessary to input regularly as once you enter a password, your device will remember it. 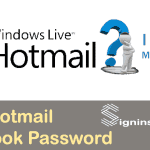 You can quickly forget the password that you haven’t entered in a while. 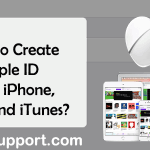 So if you are having a problem while signing in with Apple ID on iPhone, iTunes, iCloud then you can reset Apple ID password easily. But you’ve to remember either recovery email or security questions that you’ve created while you sign up Apple ID earlier. Visit the Apple Password Reset Page. Enter your Apple ID and click ‘Continue’. There are two options to reset, either it’s security question or Apple password. ‘I need to reset my password’ is pre-selected so just click ‘Continue’. 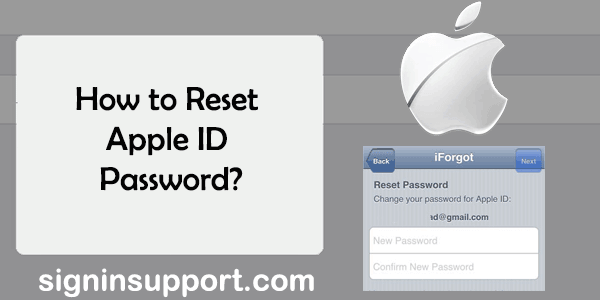 You can reset Apple ID either using recovery email or by answering security question answer. Select which method you prefer to reset your account. If you select email, you’ll receive password reset email in your primary or rescue account. Open that email and click ‘Reset now’. Create a new password for your account and click ‘Reset Password’. If you select the security question as reset method, you need to provide the date of birth in the next step. Remember you’ve to enter a birth date in the given order (month/day/year). You’ve to answer two security questions correctly. Security answers are not case sensitive, so don’t worry about capitalization. You reach into ‘password create page’. 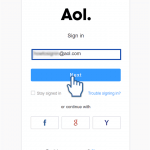 Now you can make a new password for your Apple ID. Sometimes email goes into Junk/Spam folder so check those folders also. Alternatively, you can use the search option in your mail. Search ‘Apple’, and you’ll see all the emails from Apple. Make sure you’re checking the right email address. You may be mistaken recovery email ID with another email ID. Try resending the email again. Repeat the password reset process again. After recovering Apple ID password, you need to sign in again on all the devices with the new password. You also need to update the new password in iTunes and iCloud.